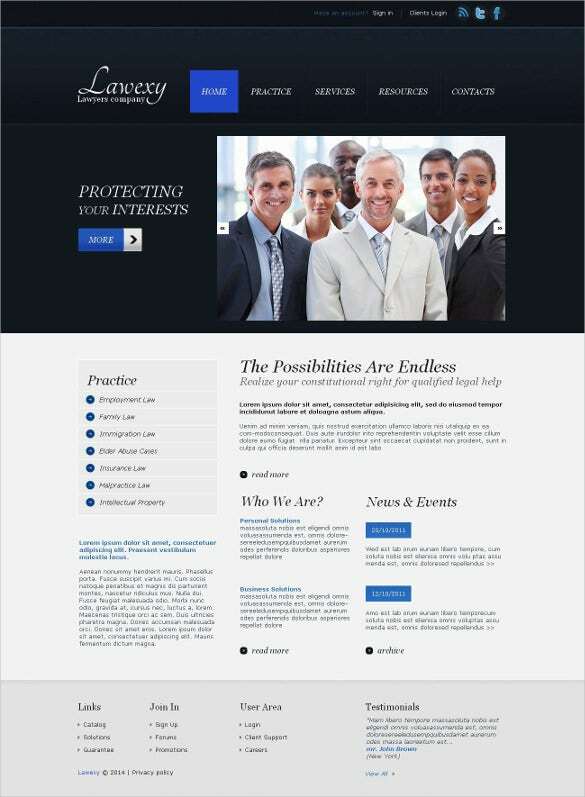 The Law & Legal HTML5 Themes & Templates are very much in use in the law firms, Traffic Ticket Attorney, law office, Military, and so on. These templates have sliced PSD, Crossbrowser compatibility, Dropdown Menu, Favicon, Google Web Fonts and a lot more. The animation elements of these templates are done by HTML plus JS. 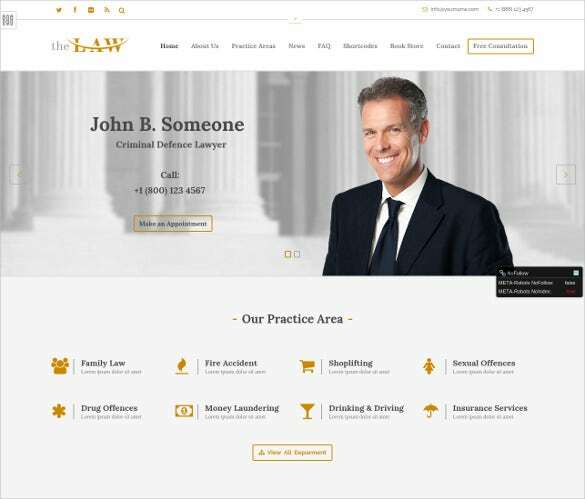 Coding of these templates are done using 1170 Grid System, Semantic coding, Skeleton Grid system and many more.You May also Visit Law & Legal Blog Themes & Templates. 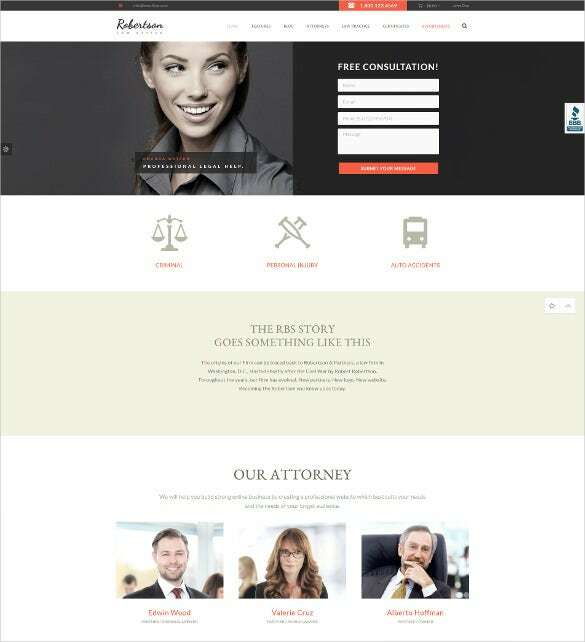 This sample of law and legal firm muse HTML5 template is designed on a brown and white color scheme. The template boasts of sliced Psd, Google map, cross browser compatibility, adobe muse ready and type kit web fonts. 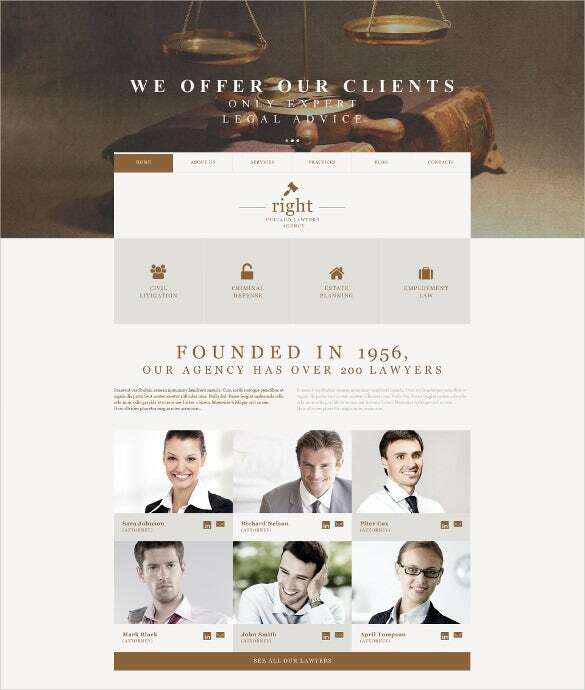 The template also features a contact web form ad 1920 PX width. 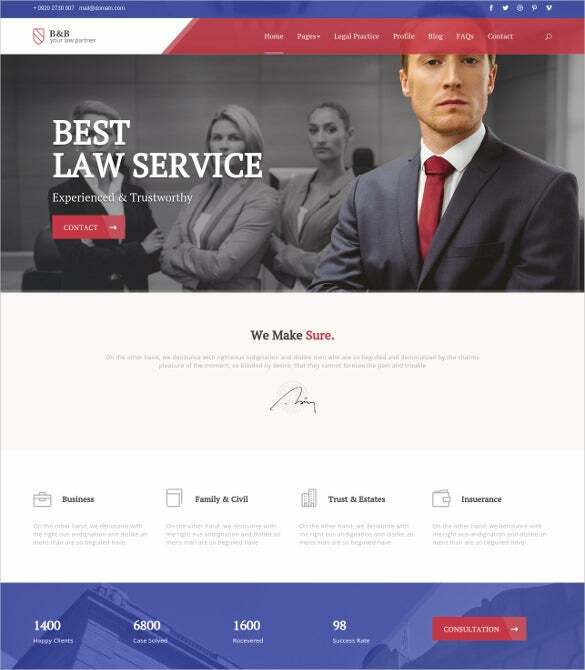 This sample of responsive law and legal business HTML5 template consists of Bootstrap3 animation, beautiful Carousel and Flex Slider Styles along with 2 Home Variations and a 100% responsive layout. The theme also has 6 preset styles and clean coding design with detailed documentation and an easy to customize design. 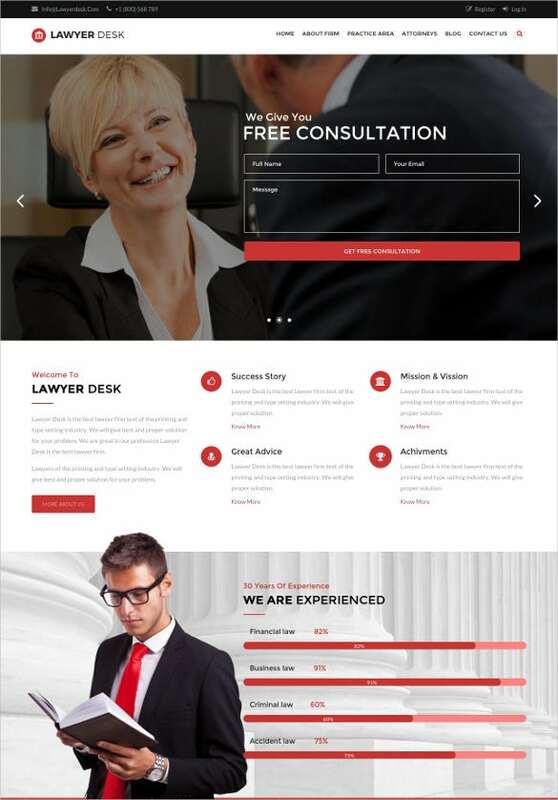 This sample of law and legal Muse HTML 5 template has a clean and elegant design along with sliced PSD and typefit web fonts. The coding system follows an 1170 grid system, along with CSS3, HTML5, Jquery and semantic language support. The theme supports 2 columns and total width of 1600px. 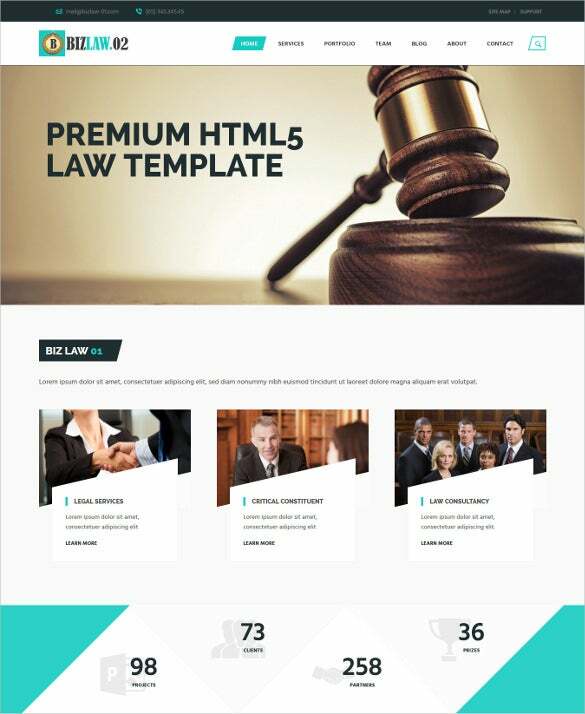 This sample of premium law and legal HTML5 template consists of fully responsive, retina ready design which is built using the latest CSS3 and HTML5 technology. The design is based on top of a bootstrap framework. It is very fast, clean and neat template which is designed to make a good impression on the client. 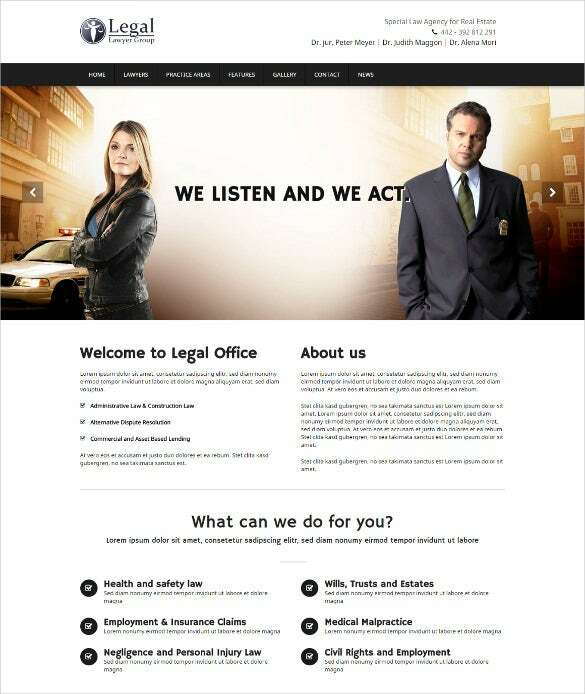 This sample of law and legal responsive website HTML5 template has a beautiful design which is very easy to work with. The coding language used in this template includes, 960 grid systems, CSS3, html 5, jquery, less, semantic code and valid coding. It also has a highly responsive feature along with a total width of 1920 PX. 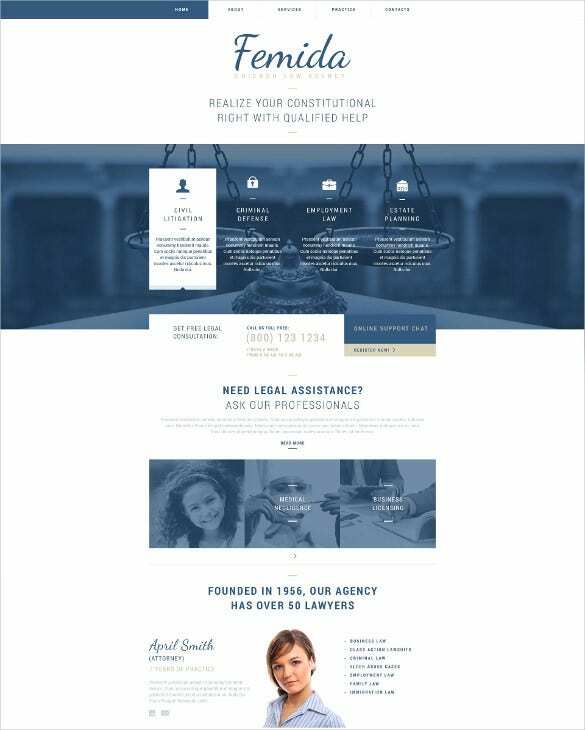 This sample of law and legal attorney HTML5 template is ideally suited for law firms, attorneys and legal advocacy related websites. The template features a well structured design which gives the website a fast and well structured performance. 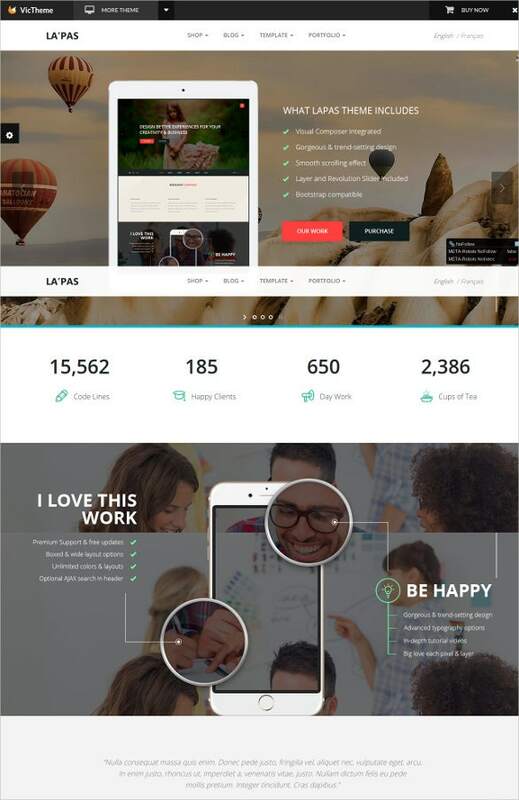 This sample consists of multipage design along with a twitter bootstrap of 3.3.5 along with a working contact form and another 360 elegant font icons. 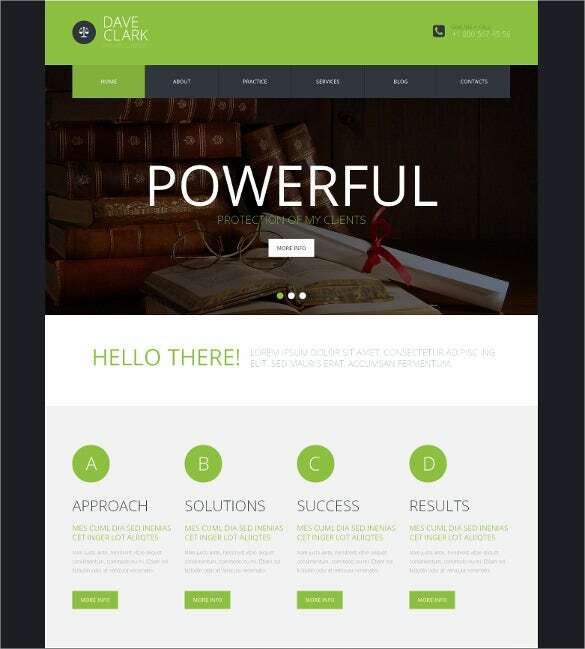 This sample of premium HTML5 law and legal template has a 100% responsive design which can adapt well with all kind of smart phone devices. The template has awesome features including 20 short codes and cross browser optimization. 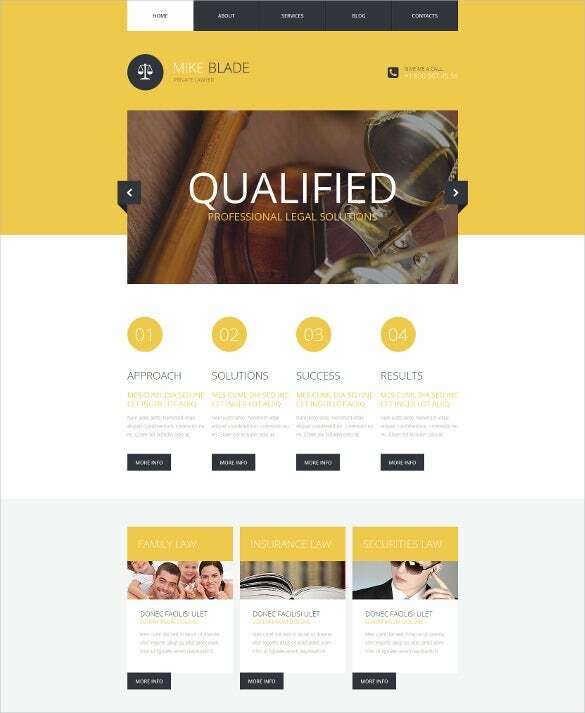 This sample of law and legal HTML5 responsive website template is designed on a white and yellow background. Features include, sliced PSD, cross browser compatibility, Google web fonts and may other features. The template has 3 columns and a width of 1950 PX. 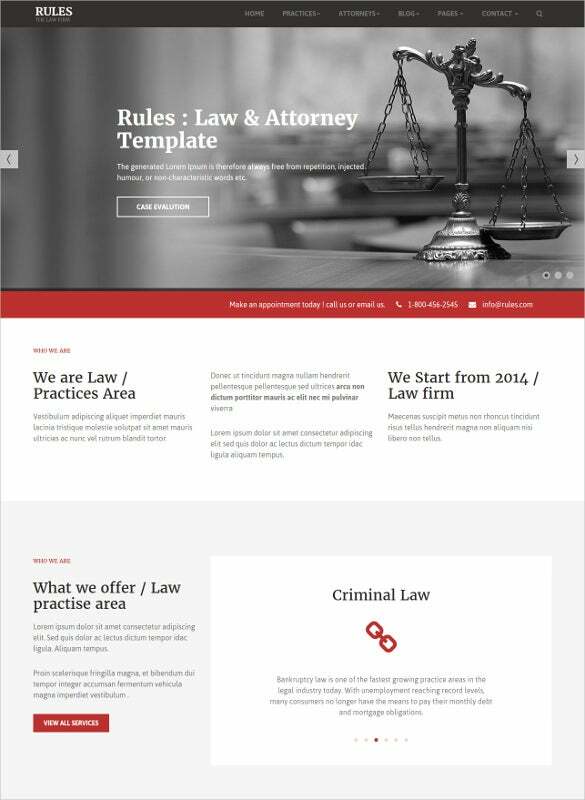 This sample of progressive law and legal HTML5 Template has breath taking functionality along with stunning custom options. The template is designed keeping in mind the SEO options and the fonts and icons follow a parallax effect. 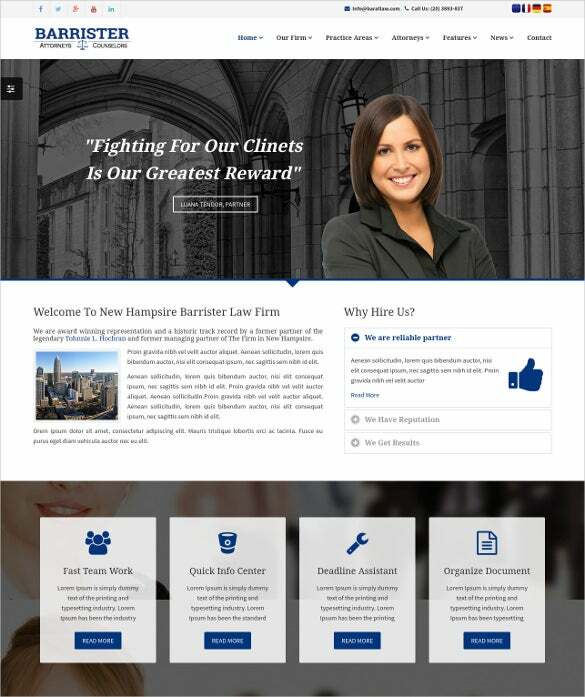 This sample of law and legal firm attorney HTML5 templates is created specifically to cater to the needs of the attorney’s and legal advocates. The design features numerous short codes, web fonts, CSS3 animation and animated content. 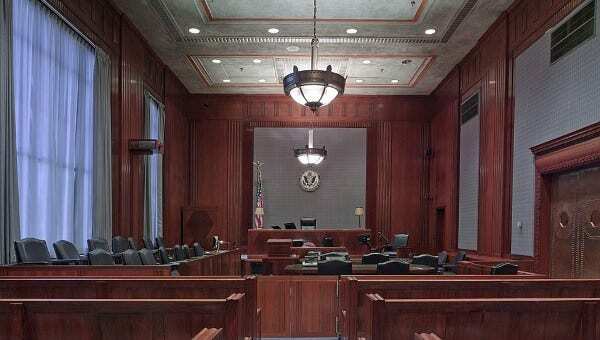 This sample of simple law and legal HTML5 template has a clean, crisp and responsive design. The template is SEO optimized, which makes the design extremely web friendly. The template also features a 100% responsive design, along with unlimited color options and RTL language support. 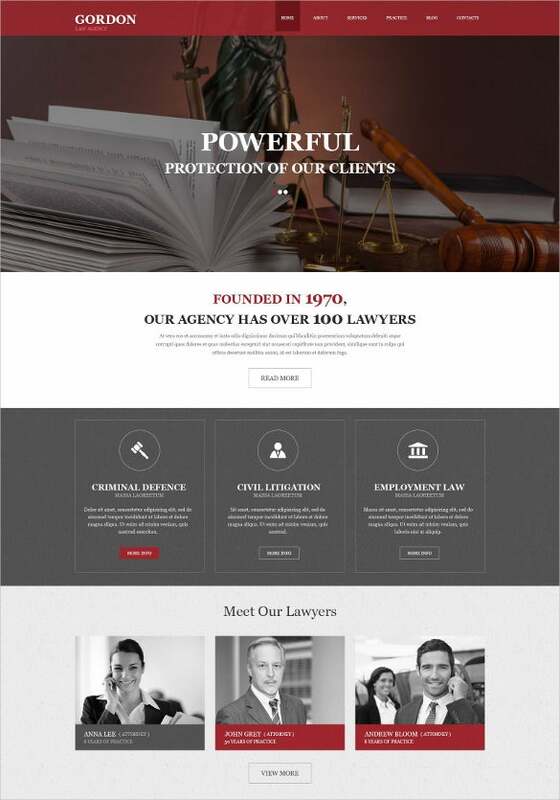 This sample of private law and legal WordPress HTML5 theme is a fully editable theme that has provision for custom post types and post formats. The theme supports multi lingual languages and has almost 80 short codes. Other advanced portfolio’s includes multi color options, lifetime free update, and custom widget and built in theme customizer. 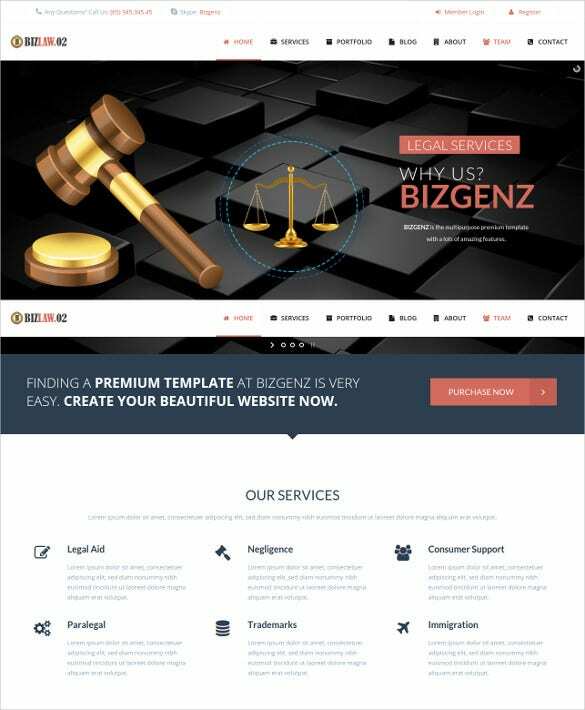 This sample of law and legal responsive HTML5 template is aptly suited for all modern devices and supports two unique home page including a slider and video option. The theme has a unique look and supports smooth transition effect, along with cross browser compatibility and Google web fonts. 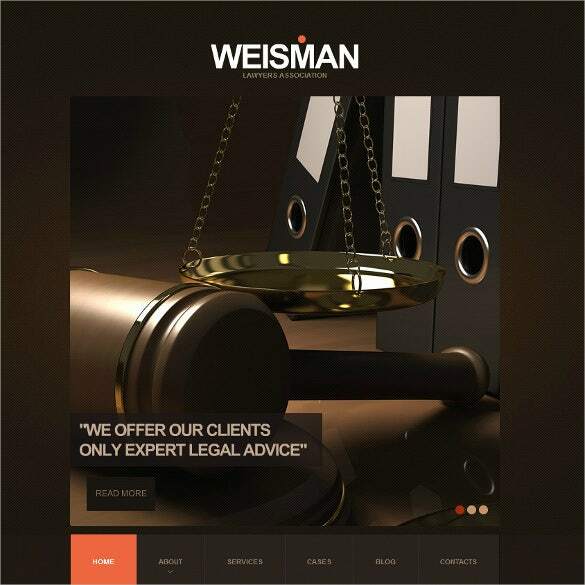 This sample of law and legal website HTML6 website has a modern and professional design which is ideal for attorneys, consultants and law firm agents. The sample consists of well organized codes along with technologies like HTML 5 and CSS3. 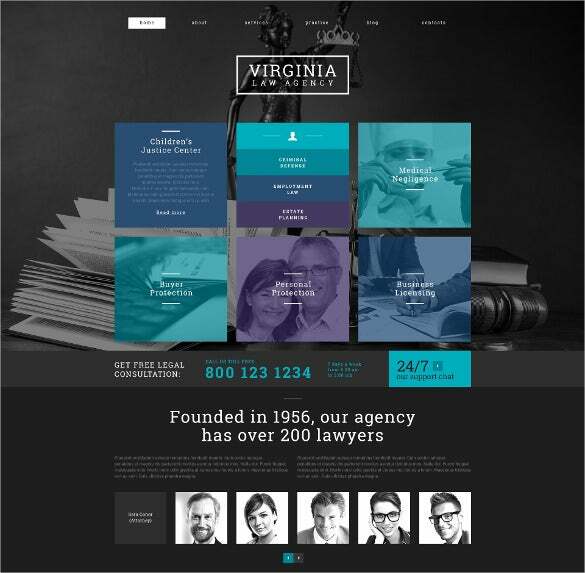 This sample of law and legal firm responsive WordPress HTML5 theme is a feature rich and highly customizable template. It features a responsive design and a Cherry framework 3. The makers of this template have made it highly SEO friendly which would aide in search engine optimization. 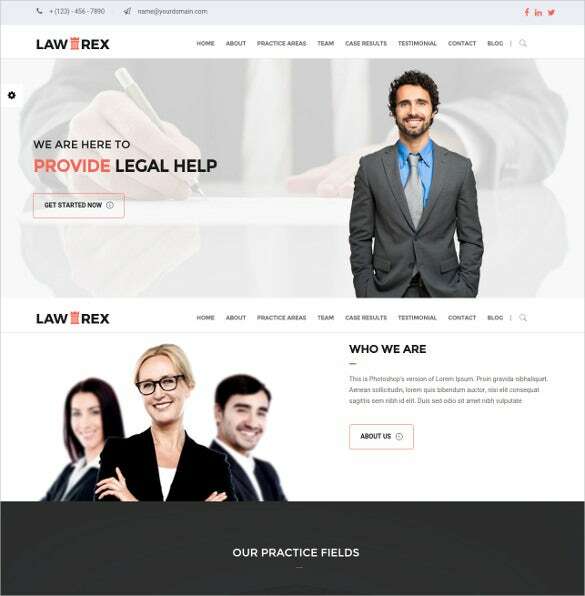 This sample of Responsive law and legal WordPress HTML5 theme has a professional and classic design which would help you to showcase your artwork and portfolio’s. The theme has six demo imports included in the package along with four different headers and eight different homepage options. 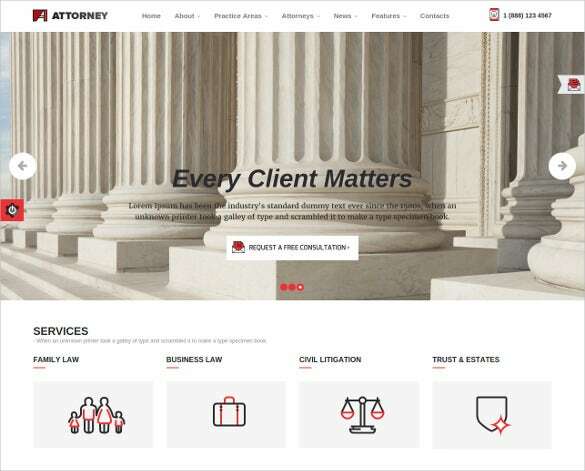 This sample of law and legal flash CMS HTML5 template is best suited to meet the various needs of law firms and other legal websites. The template features, multiple gallery and slider options along with a set of widgets and modules. The layout of this theme has 2 columns along with 1200 PX of width. The two types of web forms of these templates include Booking Form and Newsletter Subscription. These themes can be edited using the software Adobe Photoshop CS+.